Thank you for submitting your request. We will be in touch shortly. Contacting us about a specific circuit issue? 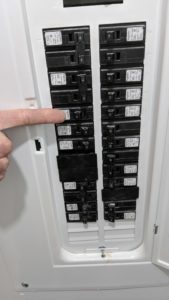 If you are contacting us about issues with a specific circuit in your house we request that you please take a picture that you can send to us of the panel with the circuit identified. See example picture. This is so we can ensure we have the correct circuit breaker in stock at the time of arrival.